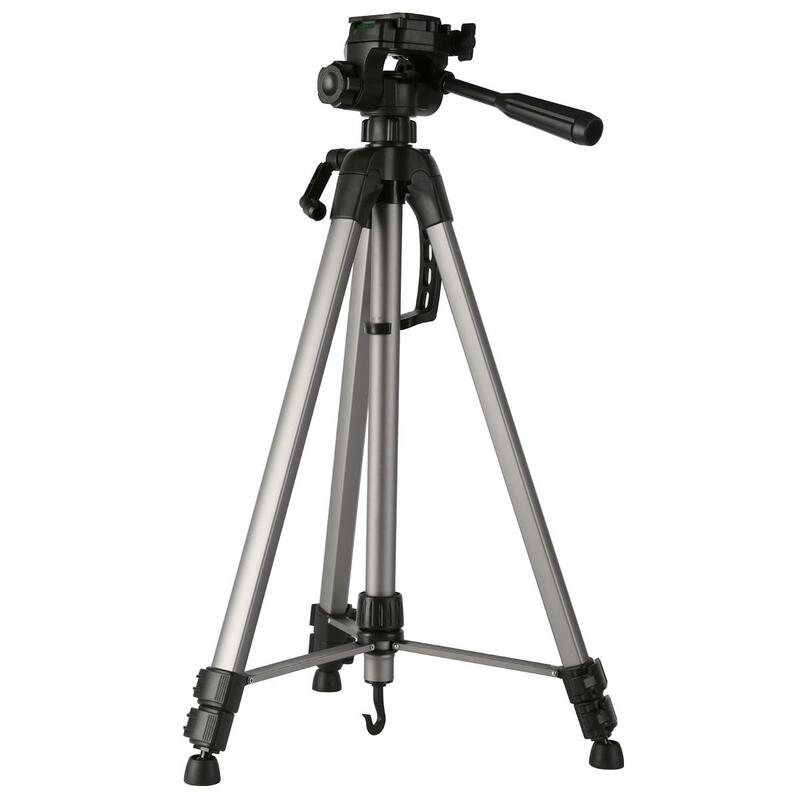 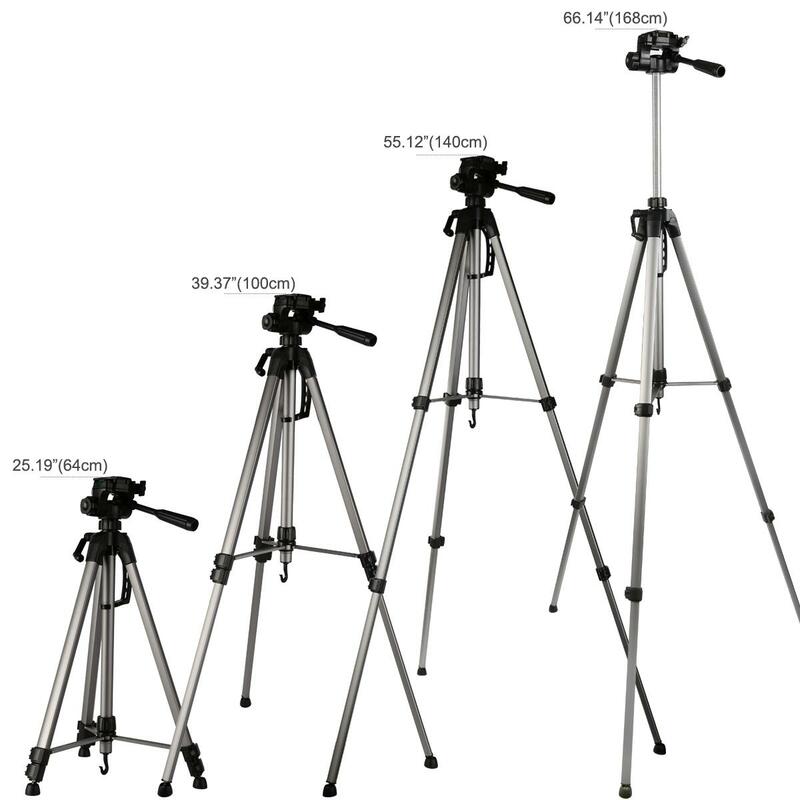 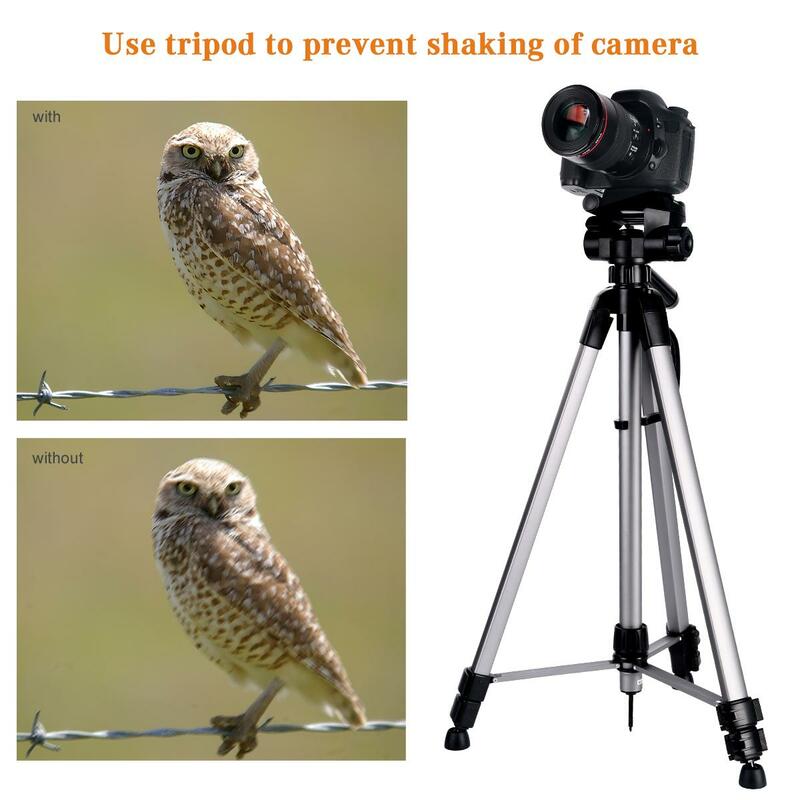 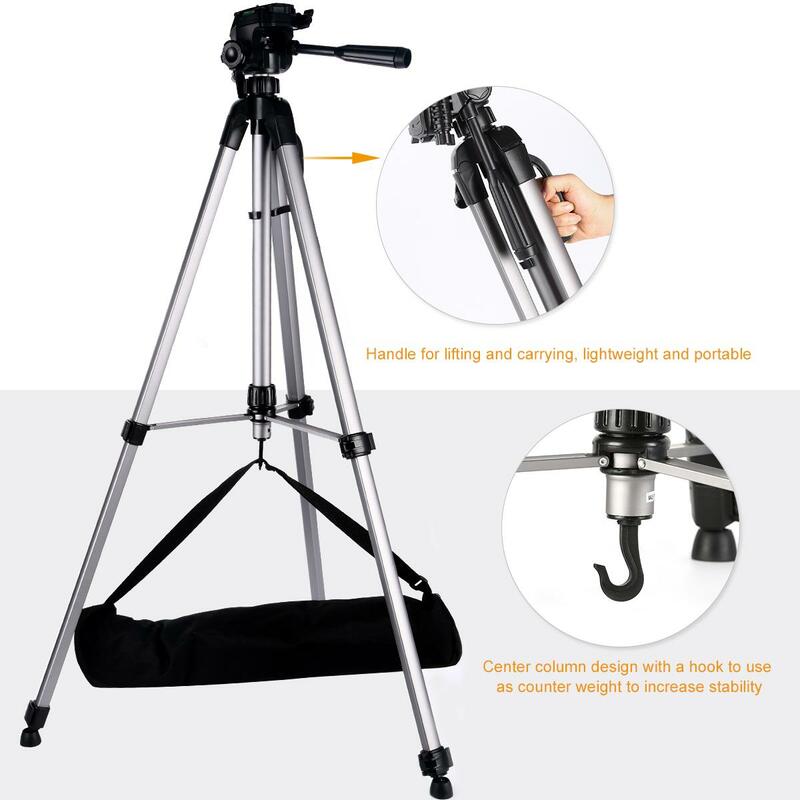 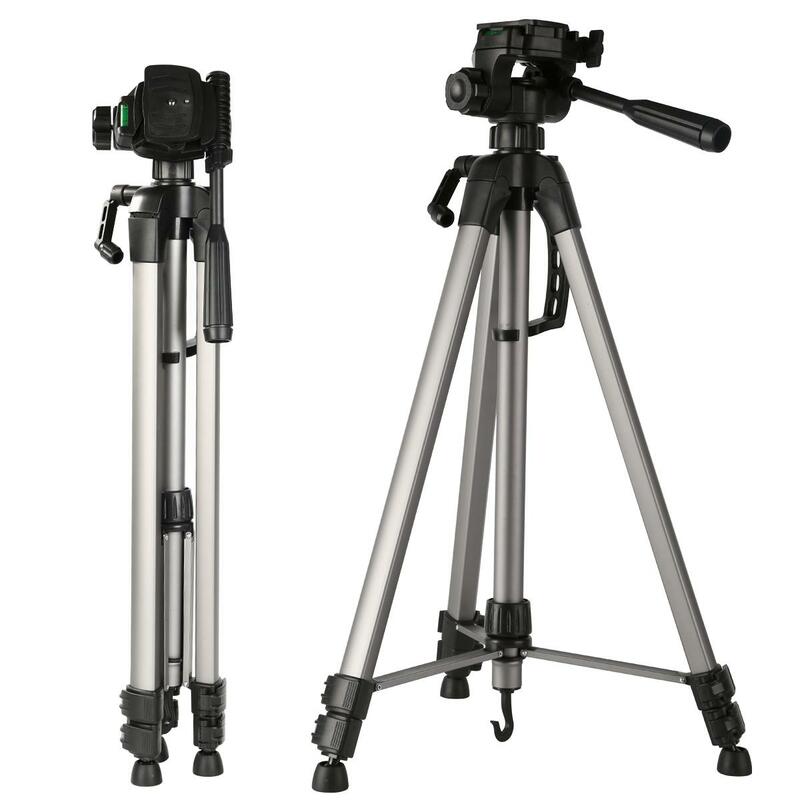 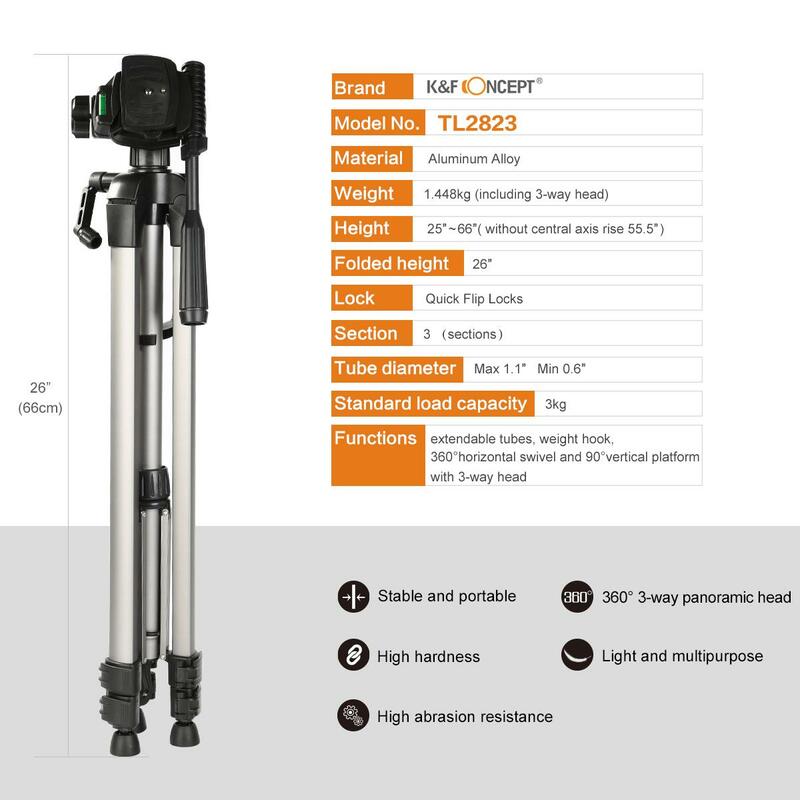 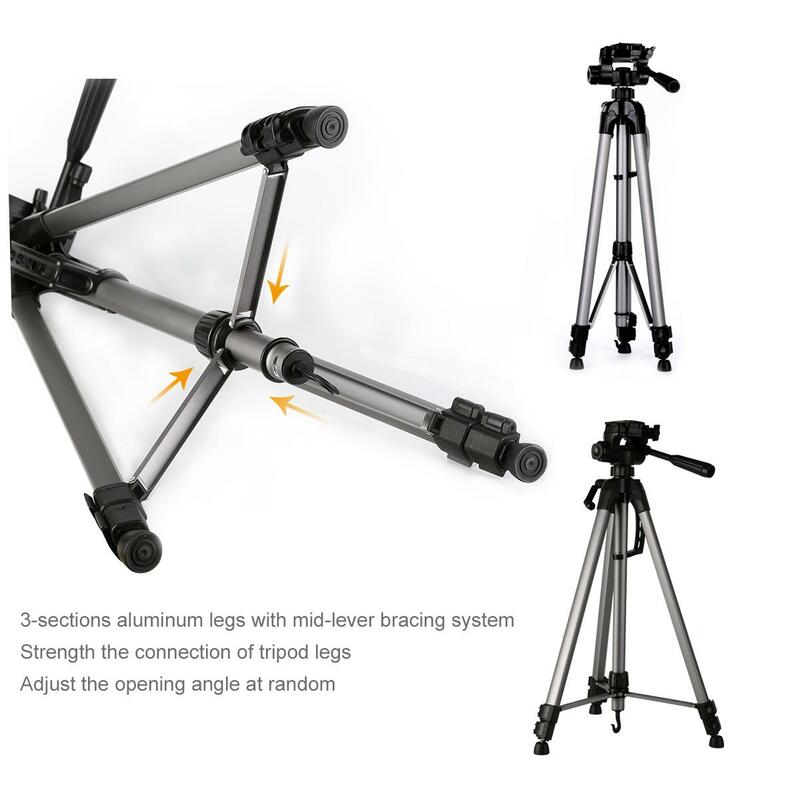 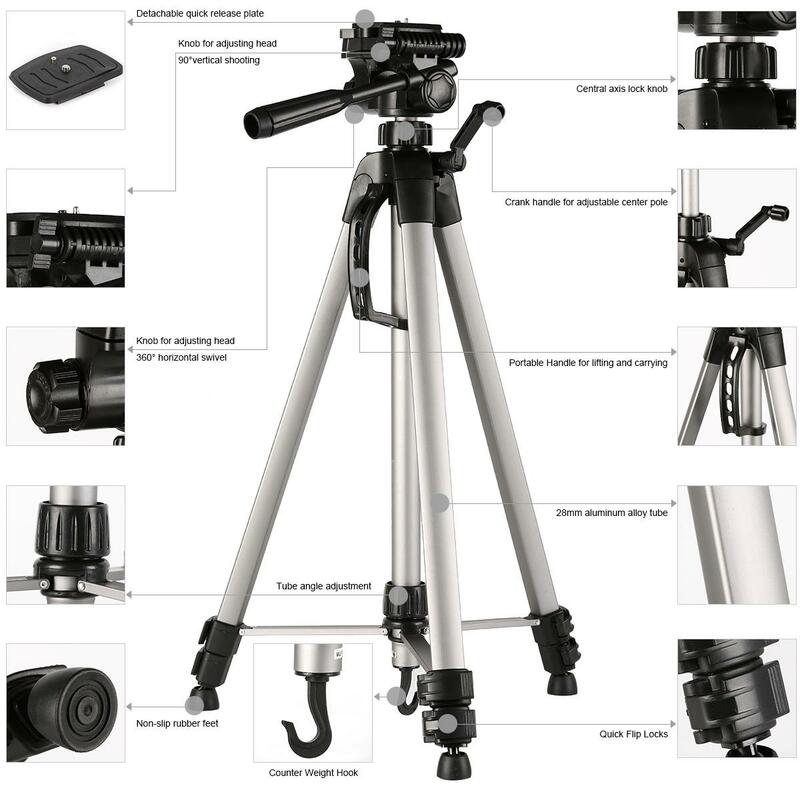 • Lightweight aluminum alloy tripod with adjustable-height legs and rubber feet. 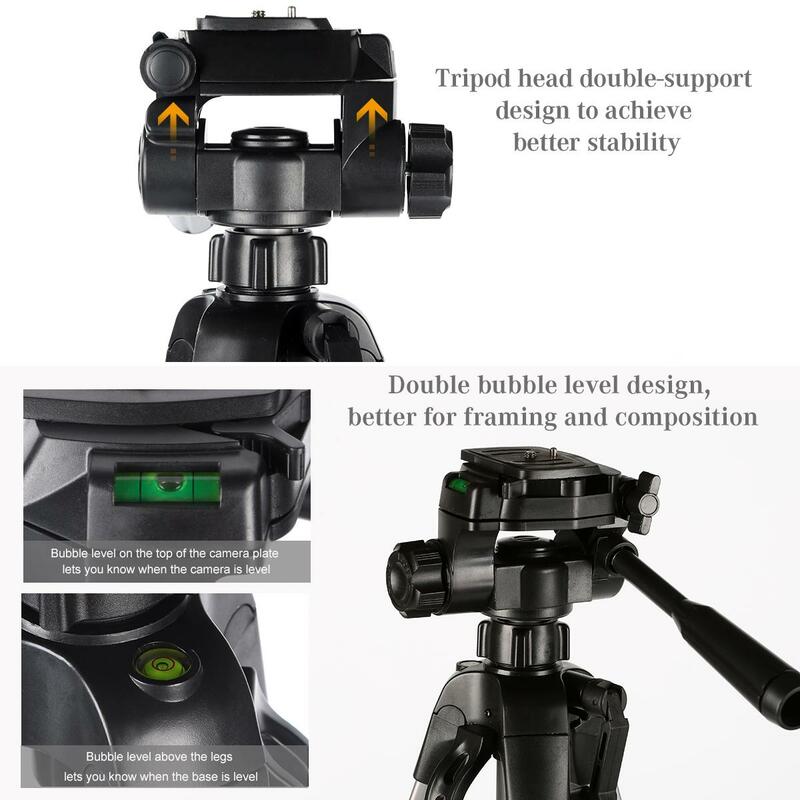 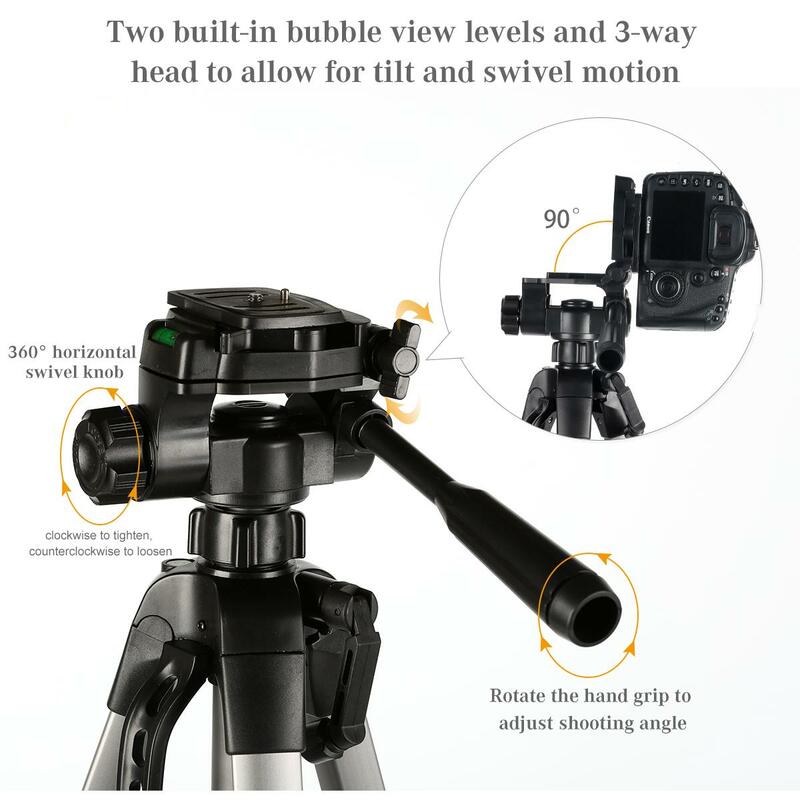 • Lightweight tripod with 360° 3-Way panoramic head, universal 1/4" quick release plate, and bubble level, can load capacity 6.6lbs/3kg. 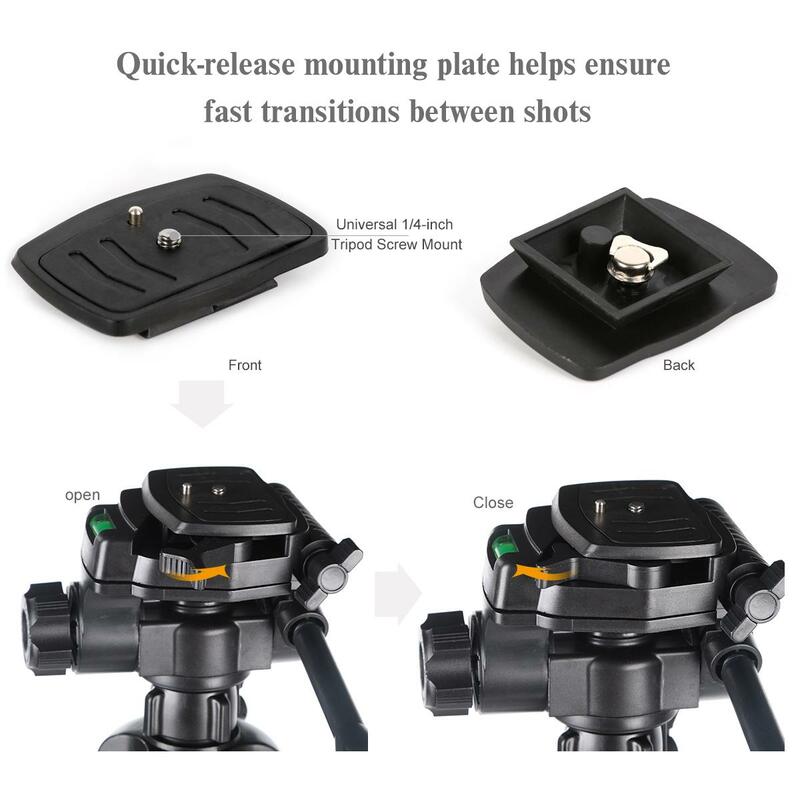 • Quick-release mounting plate helps ensure fast transitions between shots;handle for lifting and carrying, lightweight and portable. 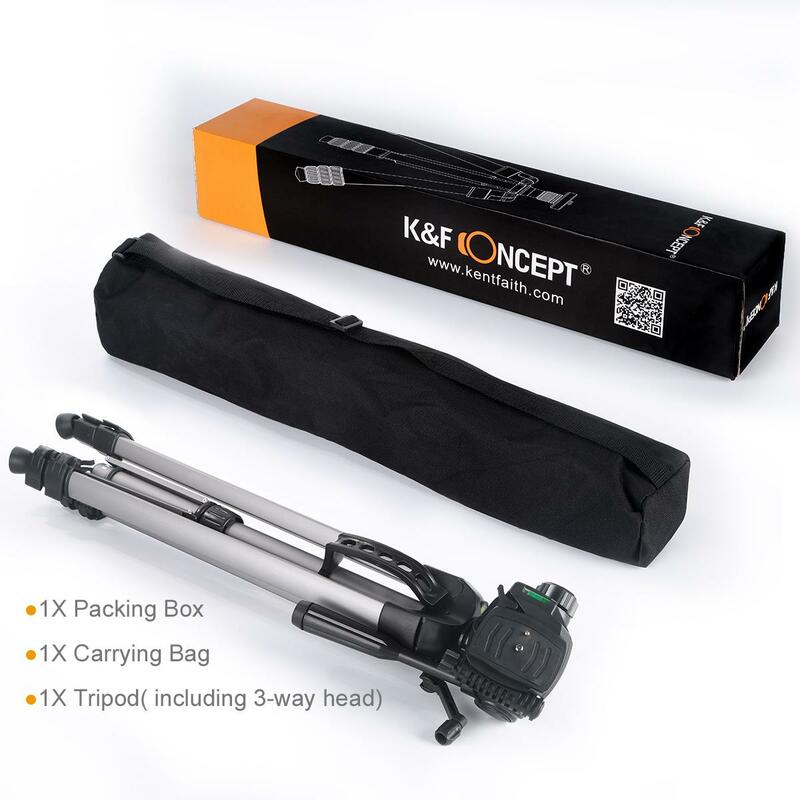 • Easy to carry, making outdoor photography more convenient.